Photos courtesy of Khmer Girls in Action. 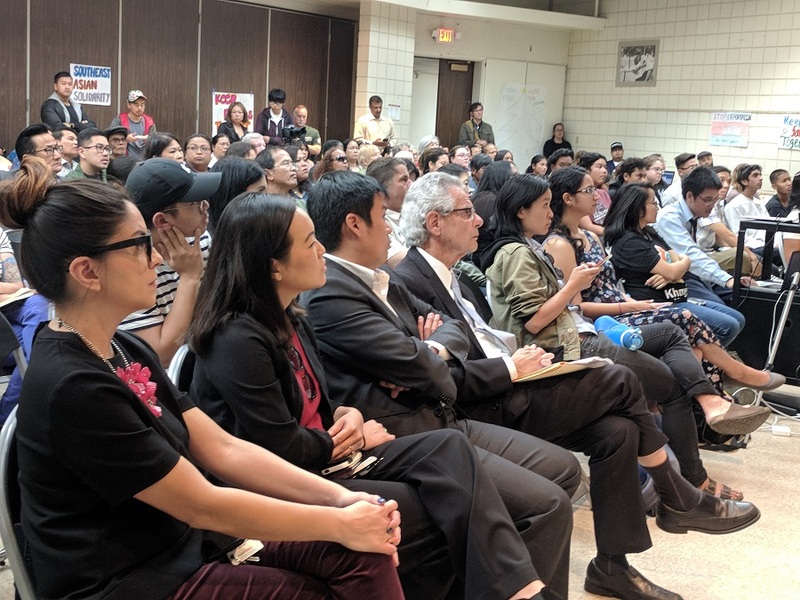 Over 150 community members gathered inside the Martin Luther King Jr. Community Center on Saturday to hear the results of a study on the recent spike in deportations of Southeast Asians taking place throughout the country. The research was done by the Cambodian Advocacy Collaborative (CAC), which is fighting to support the Cambodian community and slow down deportations ahead of the 70 planned for this month and 200 planned for next year, according to the group. Khmer Girls in Action (KGA), which is part of the CAC, hosted last weekend’s forum in Long Beach, which is home to the largest Cambodian population outside of Cambodia. The event was attended by Rep. Alan Lowenthal, Assemblymember Patrick O’Donnell and Long Beach city council and school board members. 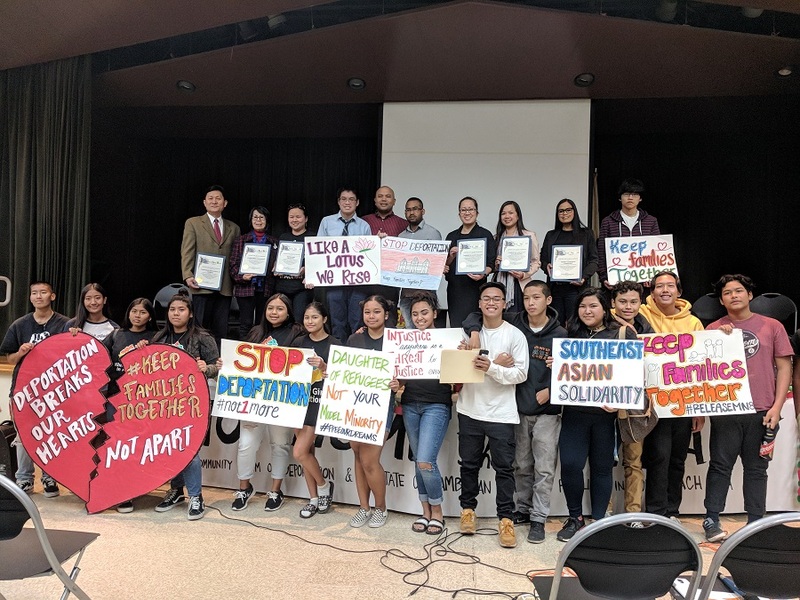 “Frustrated that the local narrative of Asian Americans does not reflect the unique needs of the Cambodian community, and that disaggregated data is still not available, the CAC decided to conduct our own research with CSULB to better uplift the voices of the Cambodian community,” Susana Sngiem, executive director of the United Cambodian Community, said in a statement. Researchers took data from 220 participants and formed a focus group of 50. All participants were 18 years old or older, lived in Long Beach and identified themselves as Cambodian or Cambodian-Americans. One out of three participants reported being in “poor to moderate health” and living in debt and 75 percent said they were renters, 15 percent higher than the city average. Half of those surveyed showed symptoms of depression and 28 percent reported having two or more health conditions. “It is very stressful for me to focus on school while having to work to support my parents and myself,” Alisha Sim, KGA alumnus and CAC representative, said in a statement. Sim is a caretaker for her grandparents and mother who suffers from four out of the five chronic illnesses experienced by Cambodian refugees: PTSD, diabetes, hypertension, depression and arthritis. According to the Southeast Asia Resource Action Center (SEARAC), the influx of deportations comes after visa sanctions issued in the U.S. on Cambodia in September for refusing to accept deportees. Refugees from Cambodia, Laos, Vietnam and other Southeast Asian countries came to the U.S. to escape from war and hardships in their home countries. Executive Director of KGA Lian Cheun is urging individuals and organizations to sign pledge cards in hopes of slowing down or stopping deportations. 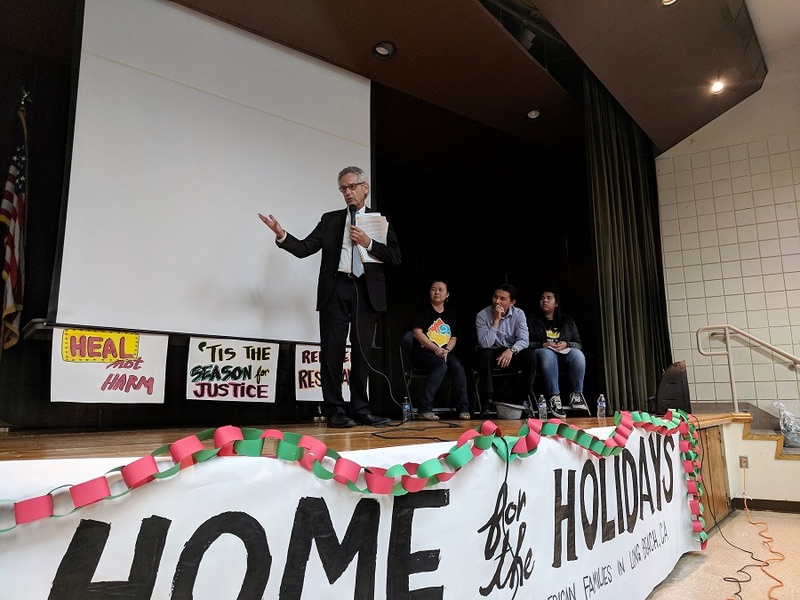 Congressman Lowenthal and five other Congress members signed a letter to Homeland Security and President Trump urging them to stop targeting their communities. According to SEARAC, individuals who entered the country before 1995 and should have protections have been issued deportation orders. Concerned individuals can click here to contact their local Congress members or add their signature to these online petitions to stop the deportation of Cambodian and Vietnamese refugees.